Four night, five day fully outfitted and professionally guided drift boat fly fishing trips for aggressive Smallmouth Bass on the Wild and Scenic John Day River. Fish from the comfort and stability of a drift boat as you float through the remote canyon section covering 75 miles of productive Smallmouth habitat. Upon arrival to camp, after a full day on the river, expect to be greated by the camp host who secured a desirable camp site early in the day to set our tents and cots, kitchen and dining area in preparation for our arrival. 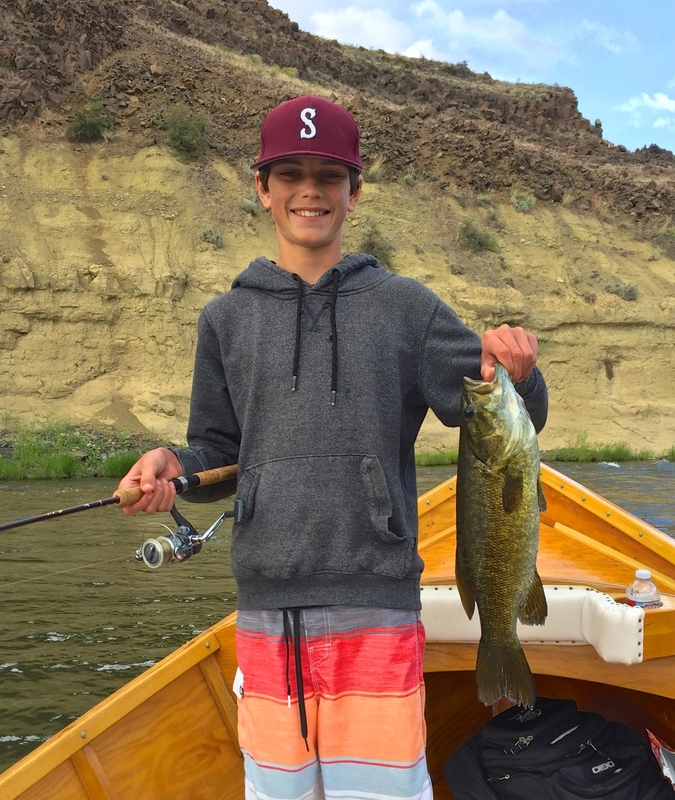 The John Day is a great river for introducing kids to fishing and the outdoors and we specialize in hosting fun adventures for the whole family. Join us for on an unforgettable family vacation where adults can be kids and kids can freely explore the natural world around them. Take a break form the digital world and leave your computers and cell phones at home for five days of uninterrupted fun. The John Day is the longest free flowing River in Oregon, and the third longest in the contiguous United States, flowing un damed 284 Miles where it reaches the Columbia.